Draft & Vessel (4417 N. Oakland Ave.) is such a great spot that barrel-aged Busch could be pouring from the taps and it’d still be a worthwhile stop. But Made in MKE: Best of Barrel Aged Beers is something special. Try hard-to-find barrel-aged brews from local breweries like the delicious Lakefront Black Friday Imperial Stout and Raised Grain Batch 100 Imperial Stout. 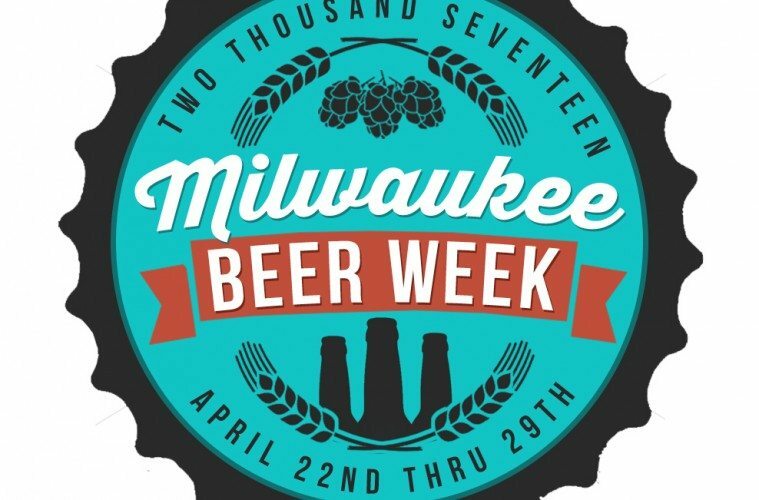 Crafts & Drafts has really become the premier event for Milwaukee Beer Week, because if you’re looking for rarities you’ll likely find them at Serb Hall (5101 W. Oklahoma Ave.). The sampling starts at noon, 1 p.m. or 2 p.m. depending upon the level of ticket you have. Be sure to reserve a spot for the event hosted by Discount Liquor that benefits the Wisconsin Ovarian Cancer Alliance. The Brass Tap (7808 W. Layton Ave.) has a pretty stellar barrel-aged tap night planned for Saturday, April 29 but Tuesday’s New Glarus R&D night is special, especially for fans of wild ales. At 5 p.m., pours from bottles of New Glarus R&D Golden Ale 2015, Vintage 2015, Champ du Blanc and Pommier Sauvage are available in flights. R&D Series brews are only sold at New Glarus and extremely hard to get. Two vintages (2015 and 2016) of Enigma, Spotted Cow Grand Cru and Smoke on the Porter will also be flowing from the taps. When Burnhearts (2599 S. Logan Ave.) taps beers from Central Waters, it’s a good idea to show up. The guys from Amherst bring the big guns whenever they pay the Bay View tavern a visit. This time around? Gems like Black Gold, Nineteen and Rum Coconut Porter will all be there alongside a dozen other Central Waters taps. The taps start flowing at 6 p.m.
Milwaukee Beer Week isn’t complete without a visit to Romans’ Pub (3475 S. Kinnickinnic Ave.). Mike Romans is hauling up some Goose Island Bourbon County barrels from the cellar to mark the occasion. Try 2013 Bourbon County Stout (a vintage that gets plenty of praise and is likely now at the ideal age), 2015 Bourbon County Regal Rye and 2015 Bourbon County Barley Wine. The sipping starts at 6 p.m. Bring a driver or take a cab, because this is potent stuff. Even when there’s no event going on, Champps (1240 S. Moorland Rd.) has plenty of great beer choices. On Firkin Friday, the place is tapping the only Surly Hop Shifter IPA firkin in Wisconsin. Around 5 p.m., Champps is tapping a 2016 Pentagram Dark Ale and Misanthrope Barrel-Aged Saison. I failed to mention this last week. While it may have received mixed reaction (and a fair amount of people who wanted to actually participate) I loved the April Fools joke posted by Stubby’s (2060 N. Humboldt Ave.) that had them hosting the first-ever Founders KBS Beer Pong Tourney. I can’t even imagine wanting to reach the finals. The tournament may be fiction, but there really will be Founders KBS on tap at 6 p.m. on Friday, April 28. Pabst Milwaukee Brewery (1037 W. Juneau Ave.) opened to the public last weekend. A grand opening street party is scheduled for May 13. The place features a list of nearly a dozen different brews with more on the way—beer guru Tom “Grynder” Ciula says to be sure and try the Andeker.